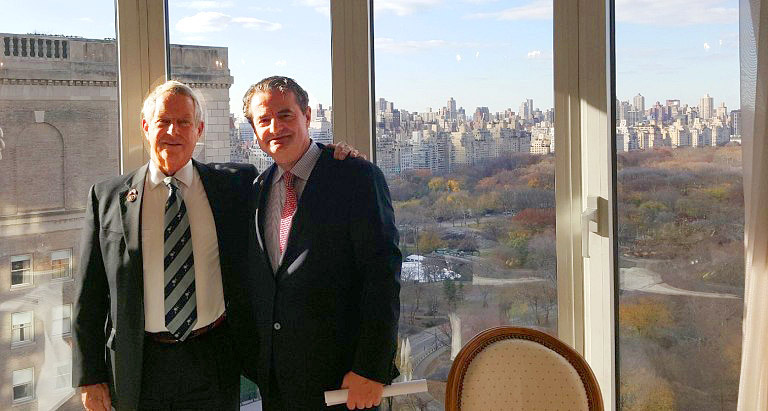 On Friday, January 8, 2016, RABC president Stefan Minovici cosponsored a breakfast meeting with Ken Abramowitz, co-founder and Managing General Partner of NGN Capital. 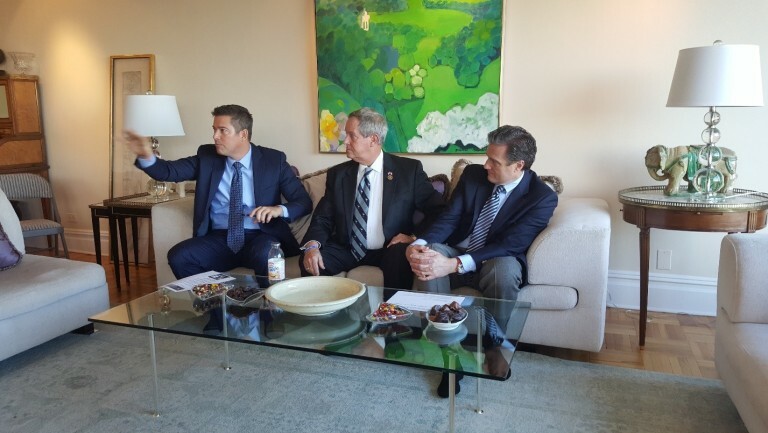 Special guests at the breakfast meeting included three key Republicans from the House of Representatives, Wisconsin Congressman Sean Duffy, South Carolina Congressman, Joe Wilson and the Co-Chair of the Romanian Caucus, Ohio Congressman Mike Turner. Joe Wilson is the Assistant Majority Whip on the House Armed Services Committee, where he serves as Chairman of the Subcommittee on Emerging Threats. He also serves as Chair of the Bulgaria Caucus and the Americans Abroad Caucus as well. Joe is committed to promoting support for our troops, veterans and their families through a strong national defense campaign. Congressman Wilson was invited to be the Guest of Honor at the XVII Edition of the Romanian Day Festival on Broadway. Mike Turner was appointed Chairman of the US Delegation to NATO Parliamentary Assembly the inter-parliamentary organization of legislators from the countries of the North Atlantic Alliance. In January 2015, the Speaker of the House appointed Congressman Turner to the House Intelligence Committee. He is one of only two members of Congress to serve on both the House Intelligence Committee and as a Subcommittee Chairman on the House Armed Services Committee. 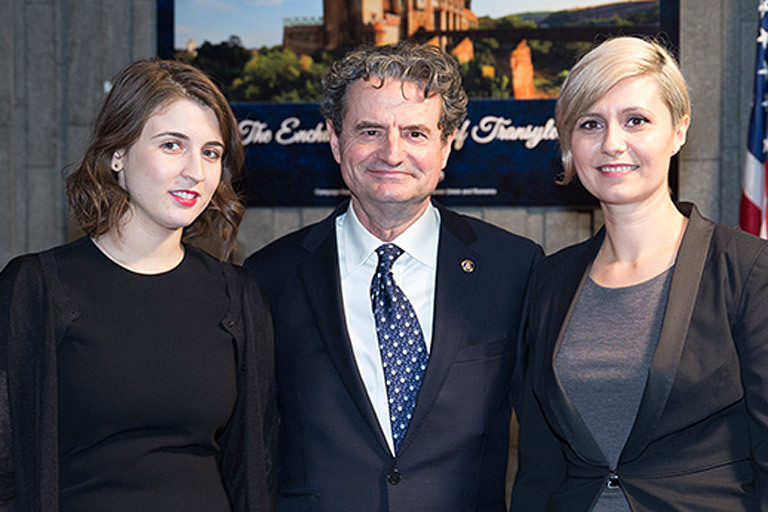 Mr. Turner was the Guest of Honor at the XVI Edition of the Romania Day Festival on Broadway. The main topics of the discussion revolved around the Syrian refugee crisis, the war in Afghanistan and the United States Republican candidates for the November elections. The military presence in Romania by the US troops was also debated in the context of the Russian threat at the Black Sea. All three Congressman fully supported the idea of a US affiliated hospital in Romania that could cater to the US troops stationed or transiting through the country. Both Congressman Wilson and Turner plan to visit the facility together next spring. At the meeting were present Stefan Minovici, RABC president, vice presidents Valentin Pipa and Andre Cappon, as well as founding members Andreea Dumitru, Cosmin Panait and Cristina Minovici. Other founding members were unable to attend due to overseas assignments or prior commitments.